Home›Movies›REVIEW — Will “The Darkest Minds” Bring Back the YA Dystopian Sci-Fi Flicks? REVIEW — Will “The Darkest Minds” Bring Back the YA Dystopian Sci-Fi Flicks? Another young adult dystopian sci-fi movie, The Darkest Minds, hits theaters today. Based on the popular novels by Alexandra Bracken, this is the first in a planned trilogy – depending on box office ratings. Amandla Stenberg gives a strong performance as Ruby Daly, the heroine of the teen rebels. However, there are plot lulls and unanswered questions that distract from the story itself. 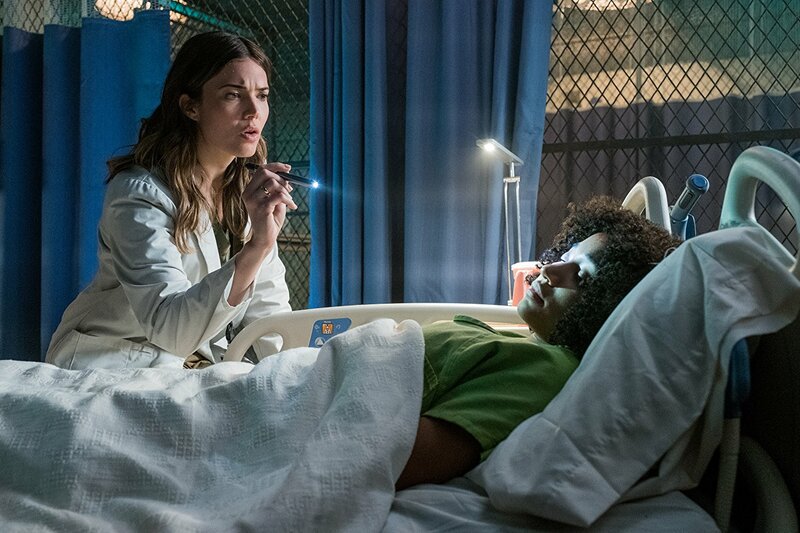 The storyline begins with a virus called “IAAN” that has caused 90% of children under 17 to die, leaving the survivors with a range of superpowers. These children are rounded up by the government and placed in camps where they are color-coded depending on their ability levels (greens have heightened intelligence, blues are telekinetic, golds can create and control electricity, orange has the ability to control others, and red can create and control fire). Oranges and Reds are considered extremely dangerous and are immediately killed when detected. Ruby is an Orange that has learned to hide it to stay alive. When her secret is discovered she manages to escape her camp with the help of a caring doctor (Mandy Moore). Not sure who she can trust, Ruby ends up with a trio of teens that are also on the run, Liam (Harris Dickinson) a blue, Chubs (Skylan Brooks) a brainy green, and (Miya Cech) a yellow. She and Liam (Harris Dickinson) slowly develop a romance. When they finally reach a camp of other teens with abilities, the cult leader (Patrick Gibson) turns out to be the only other Orange, like Ruby. 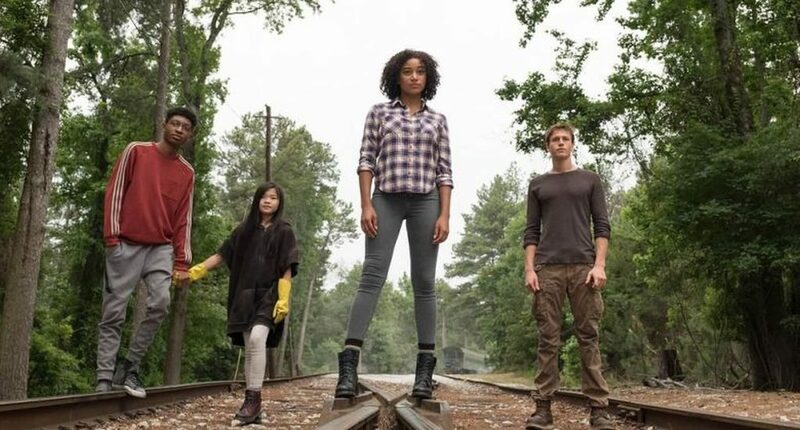 The Darkest Minds is not as motivating as The Hunger Games or The Maze Runner, but 20th Century Fox is hoping it will be revive the teen sci-fi genre. If a sequel is indeed done, let’s hope it has a tighter script and explains some of the plot holes.